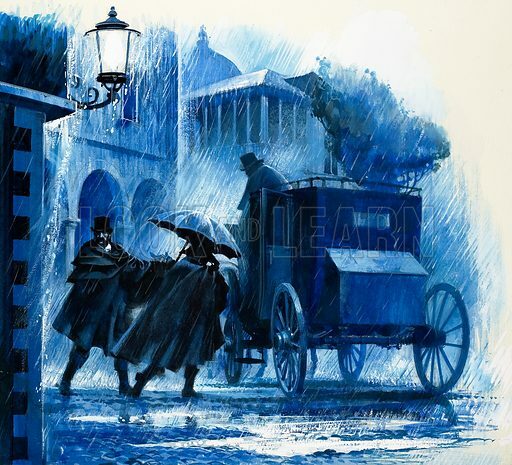 Hansom cab in the rain. From Look and Learn (date unknown). Original artwork. Available worldwide for immediate download up to 4,198 x 3,812 pixels.